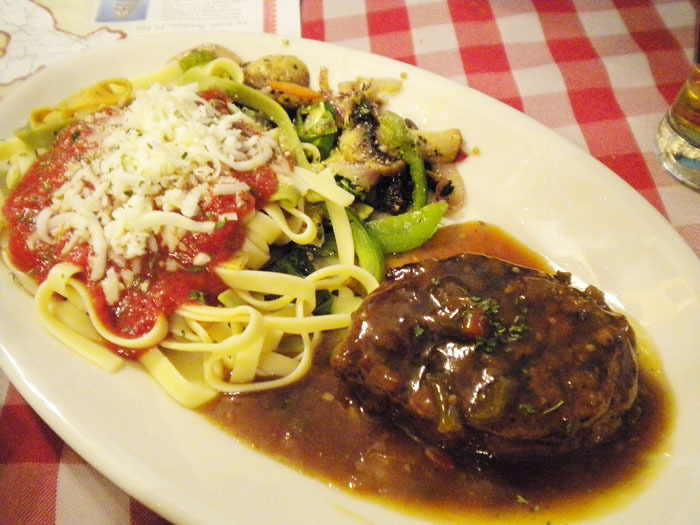 Awhile back I bought a coupon from restaurant.com for Rocco’s Italian Restaurant. I had heard good things about it. We’ve since decided we don’t really like restaurant.com but we still had this dumb coupon to use. So we went on over to the dying Academy core and had some Eyetalian food. 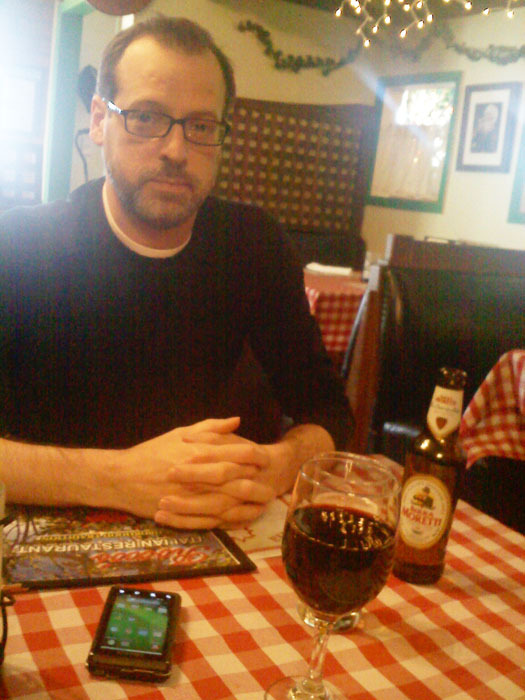 Mike had an Italian beer and I had a nice glass of chianti. Typical Old School Italian restaurant decor at Rocco's, Colorado Springs. 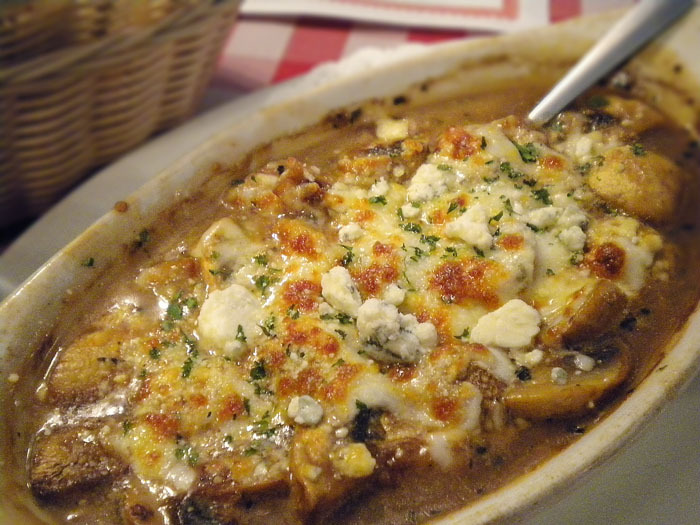 We started with the special appetizer — baked mushrooms with blue cheese. They were OK, a little salty and yet somehow a little bland. Very, very hot, too. Baked mushrooms with blue cheese. Mike had the special of the day, the pepper steak. It came with pasta primavera. He liked it. I didn’t try any. I had the homemade spaghetti and the not-homemade ravioli with marinara sauce and meatballs. It was decent but not amazing. 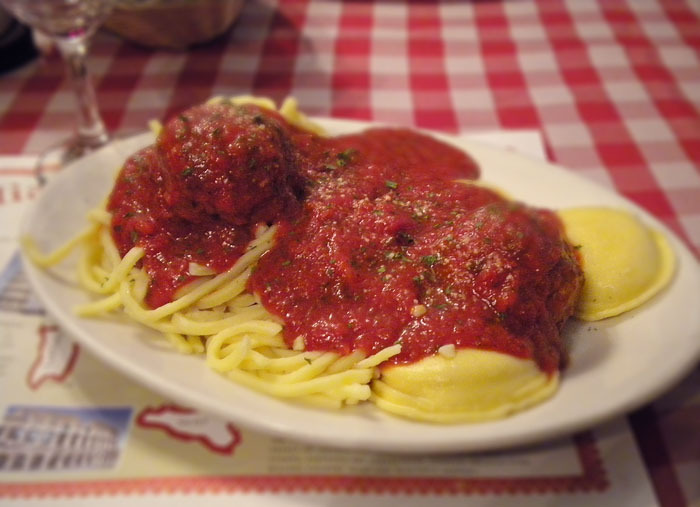 Homemade spaghetti and meatballs, Rocco's, Colorado Springs. The homemade spaghetti is a little too thick and chewy for my taste. 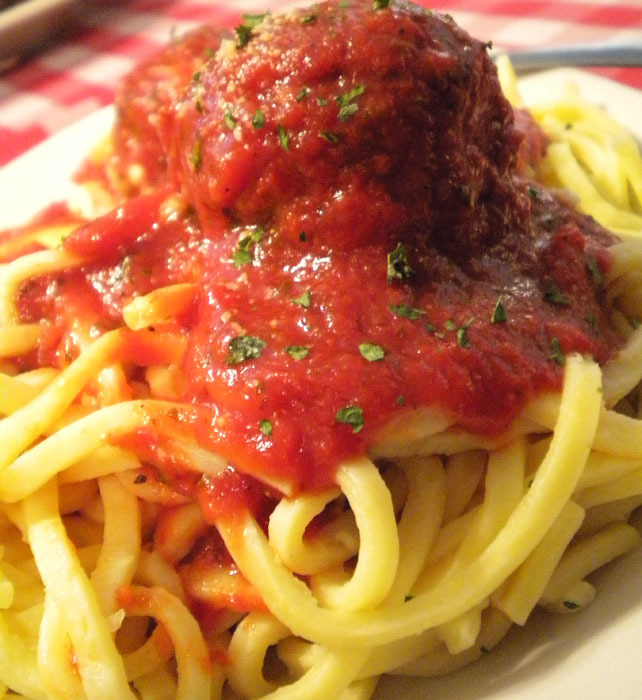 Homemade spaghetti and meatballs at Rocco's in Colorado Springs. 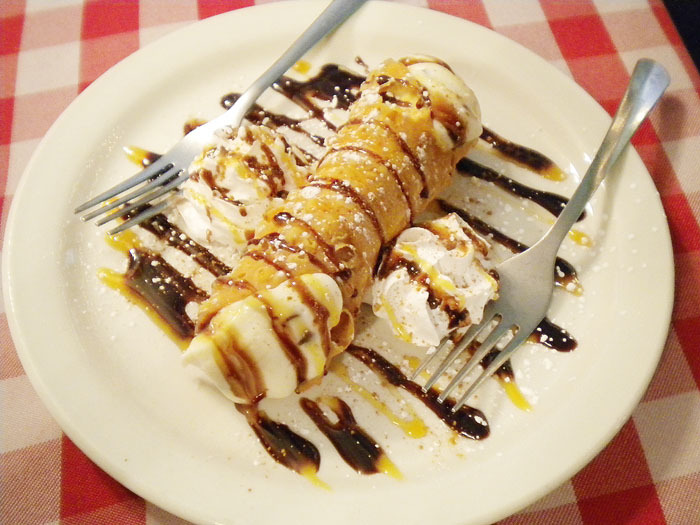 We finished it off with a cannoli, which are hard to screw up. This one was really good. The service was really great. The food was decent, like I said. We will probably go back because we have another coupon. But maybe we won’t. I don’t know. If we didn’t have a coupon, I can say we pretty sure wouldn’t. It’s a little far from home, it’s in a crappy part of town, and it wasn’t super awesome. There’s other better Italian food in town.